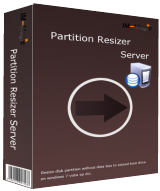 iM-Magic Partition Resizer Server 2.6.3 was available as a giveaway on May 2, 2016! The IM-Magic Partition Resizer Server is designed for people to safely shrink or extend computer drive partition space when your computer partition is running out of space or gets low disk space error messages. It also helps repartition computer hard drive when your drive partitions are improperly divided. Moreover, in daily use, it also help copy, delete, format, wipe, move or manage computer hard drive partitions without losing any important files. Overall, it is worth trying to manage your computer hard drive partitions perfectly. How would you improve iM-Magic Partition Resizer Server 2.6.3? What is the download link for the portable version? It is supposed to be free to all registered users. I met virus while installing the software and the operation was intercepted by my anti-virus software program, again and the same situation.... What should I do? Anyway, I am using AOMEI Partition Assistant lite (a free edition for Windows server), at least it can meet my basic requirements: resize\ move \ split\copy\ create\ format\ delete\ align\ wipe\ check partitions, wipe hard drive, convert data between MBR and GPT partition styles, convert partition type between primary and logical drive. Tried Downloading Once sent a Hyperlinking URL ((?)) Why not as before a Basic Hy-perlink on the Giveawayofthe Day Located Page(s)? Now still after the fourth time trying to Download the ZIP File(s)..
Easy to install, but confused as to if this copy is registered. I never inputted anything but it appears to be registered. Using the program is easy as well, just be sure to watch the 2 min video that explains how to use it. Managed to gain almost 8GB of space that was just dormant in another partition. Suggestions would be to make the moving of partitions easier or more straight forward. I almost made the mistake of not watching the video first. Glad I did watch it as the moving of unallocated space may be an issue if not done properly. iM-Magic Partition Resizer Server has all the options I need. The application only contains 8 files in the C:\Program Files\IM-Magic\Partition Resizer directory totaling only 10 MB. It also includes a legacy driver and imp.lk, suite.vssMgr.exe and vssMgr.exe in the C:\Windows directory. This is a huge benefit over programs like Eusus Partition Manager which totals almost 80MB including runtime files in the source directory. A long time back we were offered Eusus Partition Master Server with a total size of around 15 MB. I downloaded Eusus Partition Master 11 and the size of the file was 48 MB. From previous offers for Eusus Partition Manager, I believe the size was around 288MB.As far as I could tell, they both had the same options. I give iM-Magic Partition Resizer Server a huge thumbs up. I shrank my C:\ drive so my other partition to allow for more movies, pictures and downloads. It worked flawlessly iM-Magic Partition Resizer Server has all the options I need. The application only contains 8 files in the C:\Program Files\IM-Magic\Partition Resizer directory totaling only 10 MB. It also includes a legacy driver and imp.lk, suite.vssMgr.exe and vssMgr.exe in the C:\Windows directory. This is a huge benefit over programs like Eusus Partition Manager which totals almost 80MB including runtime files in the source directory. A long time back we were offered Eusus Partition Master Server with a total size of around 15 MB. I downloaded Eusus Partition Master 11 and the size of the file was 48 MB. From previous offers for Eusus Partition Manager, I believe the size was around 288MB.As far as I could tell, they both had the same options. I give iM-Magic Partition Resizer Server a huge thumbs up. iM-Magic Partition Resizer Server obviously does servers, & it does RAID, which to me are it's selling points -- both are a bit more rare on a GOTD. I've looked at & tried iM-Magic partitioning software, but never saw anything in the past that would motivate me to keep it & use it when I already had similar software from AOMEI, EaseUS, & Paragon. It wasn't so much that iM-Magic software was bad, but that the bar was set pretty high -- I already had 3 good apps installed, & that was already probably 2 more than I'd need. The idea of a portable version was/is nice, but it was not fully portable in the strict sense of the word -- the only fully portable partitioning software I've seen is Eassos Partition Guru, which while it's not my favorite, is portable. Now there are lots of people with no interest or desire for partitioning software, or for working with the more tech aspects of Windows hardware, but if the more tech aspects don't bother you, and you are running or plan to run 10, I'd suggest having at least one partitioning app that you know works with your device(s). Windows 10 is designed around GPT disks [though it works fine with MBR disks], & from time to time since the 1st 10 previews, I've seen occasional hiccups re: partitions. Installing the recent build 14316 on a device with UEFI bios wants a completely blank drive & winds up creating 4 partitions, & in a different order than much earlier builds -- if space is tight you can likely make do perfectly well with 2 or 3, which might be a needed option if you need to enlarge the 1st [needing to enlarge the 1st came up for many people earlier in 10's evolution, & I've no idea if those problems continue or will come up in the future]. For quite a while upgrading builds added a 2nd Recovery partition, & I've no idea if that behavior will return in the future [the best solution I found was to delete the existing Recovery partition, expanding the existing partition to take up that space, then upgrade the Windows 10 build, & you needed partitioning software to do that easily]. I have seen installing 10 to a MBR disk in a multi-boot system [more than one OS] still add the 1st partition holding 10's boot files, which once or twice mucked things up -- the solution was/is a bit involved, but partitioning software again could prove useful. If you have the necessary hard drive space, & if you're going to upgrade to 10, one last point I'd bring up for your consideration would be to create a partition for 10 & install it next to your current copy of 7/8 -- iM-Magic Partition Resizer Server could of course create that partition for you. You may not like 10, or some of your software &/or hardware might not work with it, &/or you may want to keep some of your GOTDs etc. You might have a hardware failure [knock wood you don't], & whatever replacement could deactivate 10, so you either use your old copy of Windows or buy a license for $100 or so. You can't say no to upgrading builds of 10 -- there was a build upgrade in 11/15, with the next due 7/16 -- and there's no guarantee a new build will work on your hardware... the 11/15 upgrade effectively bricked my tablet -- restore a backup & it would insist on performing the upgrade all over again -- with the fix showing up in a new Insider build 3 months later. I could manage without the tablet for 3 months, which BTW uses many laptop components [including the one at fault] -- I'd guess it would be hard to make do without your laptop or PC for that length of time. Richard O made the comment: "... small C drives that are configured such that I cannot expand them without moving all their E, F, G, etc. drive data off first and this should allow me to avoid that..."
While I'm sure it's not the best analogy, the one I come back to is that of a sliding divider you'd place in a kitchen drawer... in the drawer you have a fixed amount of space to store stuff, & as you slide that divider towards the back, you make the front portion bigger, so it holds more, or slide the divider forward, making the rear part larger. That's kinda how disk partitions work, dividing up the available space. Now in the drawer example it's easiest to move the divider when the drawer's empty, & the same goes for hard drive partitions. But you can't move either the divider or a partition boundary when there's stuff already stored that's in the way. If you want to make the rear portion of the drawer smaller, & the front part bigger, IF the rear part is only partly full, you can shove everything in it towards the back to allow you to move the divider. With a hard drive partition you can likewise move everything towards what's thought of as the front or beginning of the partition by running defrag, and then you can shrink the partition, moving the outer boundary to make that partition smaller. The wrinkle is that you then move the next partition to take advantage of that newly available space -- with partitions you move the furthest or outer boundary, as long as nothing is in the way, but you move the entire partition if you want to change the boundary where it starts. Once you move that 2nd partition you can expand it's outer boundary if you wish, which would make that partition larger. It works the same way if you have more than two partitions -- it just often gets more complicated because you have to repeat steps for each partition. Since you shouldn't do anything to partitions without partition image backups, one way you can move partitions forward & back on a hard drive is to delete a partition(s) as necessary, then restore the backup for that partition in a different place. If I had 2 partitions on a drive, & wanted to make the 1st partition larger, *after backing up each partition to another drive*, I could simply delete the 2nd partition, expand the 1st, then restore the backup of the 2nd in the remaining space. The brands of backup software I've used &/or tested all restored a partition image backup into a smaller amount of space, but that will only work as long as the data in that partition will fit in the available space -- you can't put 100GB of files & folders into 75GB of space. The reverse will also work if I wanted to shrink the 1st partition -- restoring the backup I can take up the added available space so that partition's bigger. OR you can just let partition software move a partition's data for you -- I like using backups instead, but that's me. The biggest wrinkle nowadays to working with partitions [&/or backups] that I'm aware of is the difficulty you can have sometimes booting a Windows device to something besides an installed & working copy of Windows. You cannot move or delete a partition or restore a backup of that partition if any files on that partition are in use -- in those cases you have to boot to something else. Partitioning & backup software each normally include a [often mini] version of the software set to run on a minimal OS [*nix or WinPE] along with the code needed to boot your device, and you are usually able to put this package on a USB stick or CD/DVD, and/or a copy may be placed on the hard drive, with boot code added to start that miniOS before Windows fires up. Whether it's on a USB stick/CD/DVD or hard drive, the bootable part may or may not work depending on the device's hardware. VERY briefly, Windows devices may have UEFI bios, Legacy bios, or a combination of both, where the bios has sometimes several modes it's capable of. Before settling on a brand of partitioning &/or backup software I suggest testing 1st to see if you can boot to that software's USB stick or CD/DVD -- if you can't, that brand's software may be pretty much useless to you. There are other gotchas to be sure, e.g. many USB drives may not be up to the task of transferring lots of data in a steady stream for 1/2 an hour or more, but if that boot test fails it's a show stopper -- either fix it or try another brand. DO Bear In Mind, what works perfectly on device A may not work on device B unless they're identical. iM-Magic Partition Resizer Server obviously does servers, & it does RAID, which to me are it's selling points -- both are a bit more rare on a GOTD. I've looked at & tried iM-Magic partitioning software, but never saw anything in the past that would motivate me to keep it & use it when I already had similar software from AOMEI, EaseUS, & Paragon. It wasn't so much that iM-Magic software was bad, but that the bar was set pretty high -- I already had 3 good apps installed, & that was already probably 2 more than I'd need. The idea of a portable version was/is nice, but it was not fully portable in the strict sense of the word -- the only fully portable partitioning software I've seen is Eassos Partition Guru, which while it's not my favorite, is portable. Now there are lots of people with no interest or desire for partitioning software, or for working with the more tech aspects of Windows hardware, but if the more tech aspects don't bother you, and you are running or plan to run 10, I'd suggest having at least one partitioning app that you know works with your device(s). Windows 10 is designed around GPT disks [though it works fine with MBR disks], & from time to time since the 1st 10 previews, I've seen occasional hiccups re: partitions. Installing the recent build 14316 on a device with UEFI bios wants a completely blank drive & winds up creating 4 partitions, & in a different order than much earlier builds -- if space is tight you can likely make do perfectly well with 2 or 3, which might be a needed option if you need to enlarge the 1st [needing to enlarge the 1st came up for many people earlier in 10's evolution, & I've no idea if those problems continue or will come up in the future]. For quite a while upgrading builds added a 2nd Recovery partition, & I've no idea if that behavior will return in the future [the best solution I found was to delete the existing Recovery partition, expanding the existing partition to take up that space, then upgrade the Windows 10 build, & you needed partitioning software to do that easily]. I have seen installing 10 to a MBR disk in a multi-boot system [more than one OS] still add the 1st partition holding 10's boot files, which once or twice mucked things up -- the solution was/is a bit involved, but partitioning software again could prove useful. If you have the necessary hard drive space, & if you're going to upgrade to 10, one last point I'd bring up for your consideration would be to create a partition for 10 & install it next to your current copy of 7/8 -- iM-Magic Partition Resizer Server could of course create that partition for you. You may not like 10, or some of your software &/or hardware might not work with it, &/or you may want to keep some of your GOTDs etc. You might have a hardware failure [knock wood you don't], & whatever replacement could deactivate 10, so you either use your old copy of Windows or buy a license for $100 or so. You can't say no to upgrading builds of 10 -- there was a build upgrade in 11/15, with the next due 7/16 -- and there's no guarantee a new build will work on your hardware... the 11/15 upgrade effectively bricked my tablet -- restore a backup & it would insist on performing the upgrade all over again -- with the fix showing up in a new Insider build 3 months later. I could manage without the tablet for 3 months, which BTW uses many laptop components [including the one at fault] -- I'd guess it would be hard to make do without your laptop or PC for that length of time. Richard O made the comment: <i>"... small C drives that are configured such that I cannot expand them without moving all their E, F, G, etc. drive data off first and this should allow me to avoid that..."</i> In case it helps anyone at all... While I'm sure it's not the best analogy, the one I come back to is that of a sliding divider you'd place in a kitchen drawer... in the drawer you have a fixed amount of space to store stuff, & as you slide that divider towards the back, you make the front portion bigger, so it holds more, or slide the divider forward, making the rear part larger. That's kinda how disk partitions work, dividing up the available space. Now in the drawer example it's easiest to move the divider when the drawer's empty, & the same goes for hard drive partitions. But you can't move either the divider or a partition boundary when there's stuff already stored that's in the way. If you want to make the rear portion of the drawer smaller, & the front part bigger, IF the rear part is only partly full, you can shove everything in it towards the back to allow you to move the divider. With a hard drive partition you can likewise move everything towards what's thought of as the front or beginning of the partition by running defrag, and then you can shrink the partition, moving the outer boundary to make that partition smaller. The wrinkle is that you then move the next partition to take advantage of that newly available space -- with partitions you move the furthest or outer boundary, as long as nothing is in the way, but you move the entire partition if you want to change the boundary where it starts. Once you move that 2nd partition you can expand it's outer boundary if you wish, which would make that partition larger. It works the same way if you have more than two partitions -- it just often gets more complicated because you have to repeat steps for each partition. Since you shouldn't do anything to partitions without partition image backups, one way you can move partitions forward & back on a hard drive is to delete a partition(s) as necessary, then restore the backup for that partition in a different place. If I had 2 partitions on a drive, & wanted to make the 1st partition larger, *after backing up each partition to another drive*, I could simply delete the 2nd partition, expand the 1st, then restore the backup of the 2nd in the remaining space. The brands of backup software I've used &/or tested all restored a partition image backup into a smaller amount of space, but that will only work as long as the data in that partition will fit in the available space -- you can't put 100GB of files & folders into 75GB of space. The reverse will also work if I wanted to shrink the 1st partition -- restoring the backup I can take up the added available space so that partition's bigger. OR you can just let partition software move a partition's data for you -- I like using backups instead, but that's me. The biggest wrinkle nowadays to working with partitions [&/or backups] that I'm aware of is the difficulty you can have sometimes booting a Windows device to something besides an installed & working copy of Windows. You cannot move or delete a partition or restore a backup of that partition if any files on that partition are in use -- in those cases you have to boot to something else. Partitioning & backup software each normally include a [often mini] version of the software set to run on a minimal OS [*nix or WinPE] along with the code needed to boot your device, and you are usually able to put this package on a USB stick or CD/DVD, and/or a copy may be placed on the hard drive, with boot code added to start that miniOS before Windows fires up. Whether it's on a USB stick/CD/DVD or hard drive, the bootable part may or may not work depending on the device's hardware. VERY briefly, Windows devices may have UEFI bios, Legacy bios, or a combination of both, where the bios has sometimes several modes it's capable of. Before settling on a brand of partitioning &/or backup software I suggest testing 1st to see if you can boot to that software's USB stick or CD/DVD -- if you can't, that brand's software may be pretty much useless to you. There are other gotchas to be sure, e.g. many USB drives may not be up to the task of transferring lots of data in a steady stream for 1/2 an hour or more, but if that boot test fails it's a show stopper -- either fix it or try another brand. DO Bear In Mind, what works perfectly on device A may not work on device B unless they're identical. mike, I hear yah, partitions used to be so easy to work with, but ever since this GPT wrench was thrown into the mix it gets more risky and complicated. GPT partitions eliminates the limitations of MBR alpha drive assignments A-Z limitations of 26 partitions. Regardless, I've yet to find a software that will allow resizing a GPT partition "on-the-fly" without having to backup recovery partitions and then restore them after you've resized the one you wanted to. And with MS upgrading PC's like a wildfire it's not simply a matter of reinstalling from a win10 DVD cause most don't have one. mike, I hear yah, partitions used to be so easy to work with, but ever since this GPT wrench was thrown into the mix it gets more risky and complicated. GPT partitions eliminates the limitations of MBR alpha drive assignments A-Z limitations of 26 partitions. Regardless, I've yet to find a software that will allow resizing a GPT partition "on-the-fly" without having to backup recovery partitions and then restore them after you've resized the one you wanted to. And with MS upgrading PC's like a wildfire it's not simply a matter of reinstalling from a win10 DVD cause most don't have one. at least it recognises exFat partitions but that is about it regarding exFAT media. It cannot format or resize them. Server resizing tools are more expensive than PC resizing tools and I'm grateful a server tool has been put here. I have a couple of older servers with small C drives that are configured such that I cannot expand them without moving all their E, F, G, etc. drive data off first and this should allow me to avoid that (after taking a backup of course). I downloaded this program (v2.6.3) about a month ago and had no problems. Attached is a "How to" file which will help the novice such as me. My God, they do dig obscure companies up. Before anyone even bothers to download I'd recommend to pay a short visit to their site and give Google or Bing a chance to throw some light on the product and the company itself. I do not run a server myself, hence it is difficult for me to image that many of you are familiar with Windows servers. My Synology NAS data server is as much as my experience goes (Linux). However, over the many years with Windows PCs I have used quite a number of partitioning applications on my own machines, helping others, starting way back with Powerquest, continueing with Acronis and eventually also moving on to freeware such as EaseUs and Aomei. Never would I want to play with partitioning software just for the sheer fun or hell of it though I never experienced any problem ever. Having said that I have known people to end up with non-bootable drives, data loss, quasi nervous breakdowns, heartaches, the lot. Usually it was either complete ignorance of the whole process in combination with "fail-guaranteed" software. Not only does you need to have a clear picture of how to go about it sensibly and when it is totally inadvisable to even think about it. A drive past it best times is not a good candidate to play with and without an image of the drive partition and full data backup the shortest period of power failure will make itself felt unpleasantly. Good luck for today's test candidates! My God, they do dig obscure companies up. Before anyone even bothers to download I'd recommend to pay a short visit to their site and give Google or Bing a chance to throw some light on the product and the company itself. I do not run a server myself, hence it is difficult for me to image that many of you are familiar with Windows servers. My Synology NAS data server is as much as my experience goes (Linux). However, over the many years with Windows PCs I have used quite a number of partitioning applications on my own machines, helping others, starting way back with Powerquest, continueing with Acronis and eventually also moving on to freeware such as EaseUs and Aomei. Never would I want to play with partitioning software just for the sheer fun or hell of it though I never experienced any problem ever. Having said that I have known people to end up with non-bootable drives, data loss, quasi nervous breakdowns, heartaches, the lot. Usually it was either complete ignorance of the whole process in combination with "fail-guaranteed" software. Not only does you need to have a clear picture of how to go about it sensibly and when it is totally inadvisable to even think about it. A drive past it best times is not a good candidate to play with and without an image of the drive partition and full data backup the shortest period of power failure will make itself felt unpleasantly. Good luck for today's test candidates! Sigrid.DE, I second that opinion. Can anyone advise if using this software to resize/split a partition results in data being lost? It says on their website it won't result in that but I've heard nightmare stories from people saying such software 'fails' and you lose the data. And the 1st comment made today stated their PC failed to boot after using this program - enough to make me reluctant to try it at all, and especially not without advice from someone who has used this program to resize/split a partition and can confirm no data/files were lost. I don't want to muck around with my C partition (1TB, also contains all personal files as no D drive) with Windows OS boot on it if there could be any chance of losing this boot process especially, and I don't have an external HD to copy my files to/make system image (house destroyed in fire & have just managed to buy new laptop - that I want to repartition - but no $ left for ext HD at moment). Any advice appreciated thanks. Doubt that anyone could guarantee you won't lose data; Windows and Murphy's Law are against you. Although I've never tried this I wonder if it is possible to do a system backup to the cloud, possibly as part of a trial. I believe AOMEI Backupper is available as freeware, I use their professional version all the time. The MiniTool Partition Wizard is a really nice and easy to use program as noted in a number of comments today. Repartitioned drives on many, many occasions without the slightest problem, but if you cannot afford failure wait until you have a backup. maddy, Doubt that anyone could guarantee you won't lose data; Windows and Murphy's Law are against you. Although I've never tried this I wonder if it is possible to do a system backup to the cloud, possibly as part of a trial. I believe AOMEI Backupper is available as freeware, I use their professional version all the time. The MiniTool Partition Wizard is a really nice and easy to use program as noted in a number of comments today. Repartitioned drives on many, many occasions without the slightest problem, but if you cannot afford failure wait until you have a backup. The hard drive I partitioned and resized is a 2 TB drive. No files were lost. Even after changing the partition size some time later, nothing was lost. All responsible partition software (including Minitools) remind users to do a backup of their data before the partitioning is executed. This is their sense of responsibility. This does not reflect that they are not confident of their software. Normal wear and tear of hard drive is not caused by partition software. Use Chkdsk once every 2 years to check your hard drive for bad sectors. Hard drive is a moving part and emergence of a few bad sectors after many years of use is normal. maddy, The hard drive I partitioned and resized is a 2 TB drive. No files were lost. Even after changing the partition size some time later, nothing was lost. All responsible partition software (including Minitools) remind users to do a backup of their data before the partitioning is executed. This is their sense of responsibility. This does not reflect that they are not confident of their software. Normal wear and tear of hard drive is not caused by partition software. Use Chkdsk once every 2 years to check your hard drive for bad sectors. Hard drive is a moving part and emergence of a few bad sectors after many years of use is normal. maddy, use the free disk management utility that is built in to Windows. "Can anyone advise if using this software to resize/split a partition results in data being lost?" The process can be complicated... If for example you're moving a partition to start earlier on a hard drive -- say you shrunk C: so you could enlarge D:, you would move D: to start at the new or relocated end of C:. Myself, I'd just delete D:, restoring a backup image I'd just made of D: in the newly available space. But if you want to use partitioning software to do the same thing, it has to move the partition in pieces, because there's usually not enough new free space to fit the entire partition -- it moves some data, which makes room to move more data & so on. With all that going on an error can happen, so partitioning software *may* take extra steps, like doing a compare after each copy -- I didn't see anything about that on the iM-Magic site, so don't know what steps they take. "I've heard nightmare stories from people saying such software 'fails' and you lose the data." *ANY* software or hardware can fail or have an error. Working with partitions is more critical because the tables that list where everything is on a drive/partition are effected, so an error can be more disastrous than if you have an error say with your email program. If you have a good image backup you can restore, & so put things back, no worries. "... if there could be any chance of losing this boot process especially, and I don't have an external HD to copy my files to/make system image (house destroyed in fire & have just managed to buy new laptop - that I want to repartition - but no $ left for ext HD at moment). Any advice appreciated thanks." My advice, purely FWIW, would be to concentrate 1st on backups. First step I would suggest is getting your data in the cloud, as an encrypted 7z file if you like, so that you're protected there -- between Google, Microsoft, & Amazon you should hopefully be able to do that for free. 2nd, for complete backups I'd suggest looking for a remanufactured hard drive on sale, e.g. I picked up a 750MB drive for $18 at Frys. I have a USB 3.0 drive dock that I picked up for $20 -- haven't seen them cheaper but it's possible -- & I have a 5 or 6 inch table fan that went for $6. The reason for this setup is that drives can get hot & start to fail -- you can easily find all sorts of horror stories about failed external drives, and all sorts of reman external drives, which are the ones people have returned because they failed. Note that myself, I won't trust a drive until I've used it [usually for non-critical stuff] for at least a month -- many times if a drive is going to fail, it will be during the 1st month, & I don't personally feel that devoting a month's worth of wait & see is excessive. And I wouldn't do anything without a backup image on another drive, & for me that includes Windows updates, driver updates, & large software programs. Nowadays booting a Windows device can become a VERY complicated issue, more so if you're running 10 on your new laptop. Without seeming to write a book, the best I can do is repeat the part about having a backup, only do the full disk including all the partitions the 1st time, & every time there's a major change like a new Windows 10 build, or adding software with a boot option [e.g. some AV software]. And keep at least the most recent of these full disk backups. I'd strongly advise that you make sure your laptop can boot to the USB stick or CD/DVD you can create with your choice of backup software. If you can manage it I'd also suggest something like partitioning your external drive, putting a full disk backup archive on the 2nd partition on that external drive, restoring that backup to the 1st partition on your external drive, & seeing if it boots. That's the closest I can think of to a full dry run without risk. Stuff can just not work... Certain brands of USB electronics may not work with your laptop. Last year's version of Paragon's backup software, at least the copies they give away at sites like GOTD, could have problems with a full disk backup of 10 -- everything appeared to work but the result may not boot. I know Macrium Reflect Free has worked for me in that situation, but I haven't tested all the other brands. And last year's Paragon backup app works for me for everything but a full GPT disk backup of 10. A final note for people with more than one Windows device, what works [or doesn't] with one device, may give the opposite results with another. And that may be the fault of hardware or software. People that tell horror stories, or get irate, or rant, often [usually?] do so because they didn't bother to test 1st. maddy, <i>"Can anyone advise if using this software to resize/split a partition results in data being lost? "</i> The process can be complicated... If for example you're moving a partition to start earlier on a hard drive -- say you shrunk C: so you could enlarge D:, you would move D: to start at the new or relocated end of C:. Myself, I'd just delete D:, restoring a backup image I'd just made of D: in the newly available space. But if you want to use partitioning software to do the same thing, it has to move the partition in pieces, because there's usually not enough new free space to fit the entire partition -- it moves some data, which makes room to move more data & so on. With all that going on an error can happen, so partitioning software *may* take extra steps, like doing a compare after each copy -- I didn't see anything about that on the iM-Magic site, so don't know what steps they take. <i>"I've heard nightmare stories from people saying such software 'fails' and you lose the data. "</i> *ANY* software or hardware can fail or have an error. Working with partitions is more critical because the tables that list where everything is on a drive/partition are effected, so an error can be more disastrous than if you have an error say with your email program. If you have a good image backup you can restore, & so put things back, no worries. <i>"... if there could be any chance of losing this boot process especially, and I don't have an external HD to copy my files to/make system image (house destroyed in fire & have just managed to buy new laptop - that I want to repartition - but no $ left for ext HD at moment). Any advice appreciated thanks. "</i> My advice, purely FWIW, would be to concentrate 1st on backups. 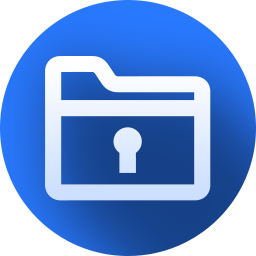 First step I would suggest is getting your data in the cloud, as an encrypted 7z file if you like, so that you're protected there -- between Google, Microsoft, & Amazon you should hopefully be able to do that for free. 2nd, for complete backups I'd suggest looking for a remanufactured hard drive on sale, e.g. I picked up a 750MB drive for $18 at Frys. I have a USB 3.0 drive dock that I picked up for $20 -- haven't seen them cheaper but it's possible -- & I have a 5 or 6 inch table fan that went for $6. The reason for this setup is that drives can get hot & start to fail -- you can easily find all sorts of horror stories about failed external drives, and all sorts of reman external drives, which are the ones people have returned because they failed. Note that myself, I won't trust a drive until I've used it [usually for non-critical stuff] for at least a month -- many times if a drive is going to fail, it will be during the 1st month, & I don't personally feel that devoting a month's worth of wait & see is excessive. And I wouldn't do anything without a backup image on another drive, & for me that includes Windows updates, driver updates, & large software programs. Nowadays booting a Windows device can become a VERY complicated issue, more so if you're running 10 on your new laptop. Without seeming to write a book, the best I can do is repeat the part about having a backup, only do the full disk including all the partitions the 1st time, & every time there's a major change like a new Windows 10 build, or adding software with a boot option [e.g. some AV software]. And keep at least the most recent of these full disk backups. I'd strongly advise that you make sure your laptop can boot to the USB stick or CD/DVD you can create with your choice of backup software. If you can manage it I'd also suggest something like partitioning your external drive, putting a full disk backup archive on the 2nd partition on that external drive, restoring that backup to the 1st partition on your external drive, & seeing if it boots. That's the closest I can think of to a full dry run without risk. Stuff can just not work... Certain brands of USB electronics may not work with your laptop. Last year's version of Paragon's backup software, at least the copies they give away at sites like GOTD, could have problems with a full disk backup of 10 -- everything appeared to work but the result may not boot. I know Macrium Reflect Free has worked for me in that situation, but I haven't tested all the other brands. And last year's Paragon backup app works for me for everything but a full GPT disk backup of 10. A final note for people with more than one Windows device, what works [or doesn't] with one device, may give the opposite results with another. And that may be the fault of hardware or software. People that tell horror stories, or get irate, or rant, often [usually?] do so because they didn't bother to test 1st. "Use Chkdsk once every 2 years to check your hard drive for bad sectors." I'd suggest checking for errors using Windows far more often than that -- right click a drive, select properties, then tools, then error-checking. Note that checking a 10 drive in 7 will take much longer & may fail. Note that it may not happen until you reboot if files on that partition are in use. DO NOT, in the strongest terms [!] check the box to Scan for and attempt recovery of bad sectors. DO use a utility from the drive's manufacturer. Sectors recorded as bad in the NTFS file tables are TRULY miserable to get rid of, & a great many tasks will not be possible until you do. You've been warned. "Hard drive is a moving part and emergence of a few bad sectors after many years of use is normal." The moving part part is irrelevant -- SSDs get bad sectors more frequently. Most all current drives have extras -- a sector goes bad they map it to a spare. On a electro-mechanical drive however you may need to run the manufacturer's software to find & remap those sectors -- SSDs usually do it automatically, AFAIK anyway. ricohflex, <i>"Use Chkdsk once every 2 years to check your hard drive for bad sectors. "</i> I'd suggest checking for errors using Windows far more often than that -- right click a drive, select properties, then tools, then error-checking. Note that checking a 10 drive in 7 will take much longer & may fail. Note that it may not happen until you reboot if files on that partition are in use. DO NOT, in the strongest terms [!] check the box to Scan for and attempt recovery of bad sectors. DO use a utility from the drive's manufacturer. Sectors recorded as bad in the NTFS file tables are TRULY miserable to get rid of, & a great many tasks will not be possible until you do. You've been warned. <i>"Hard drive is a moving part and emergence of a few bad sectors after many years of use is normal. "</i> The moving part part is irrelevant -- SSDs get bad sectors more frequently. Most all current drives have extras -- a sector goes bad they map it to a spare. On a electro-mechanical drive however you may need to run the manufacturer's software to find & remap those sectors -- SSDs usually do it automatically, AFAIK anyway. "Although I've never tried this I wonder if it is possible to do a system backup to the cloud, possibly as part of a trial." The problem is the data rate of the transfer to the servers in the cloud. What many, including all sizes of businesses do, is send a copy of their complete backup on physical media to the company providing the service. Afterward they just do incremental backups directly to the cloud -- because it's much less data the relatively lower transfer rate isn't as big a problem. This sort of thing generally hits individual consumers in the US the hardest... Shipping anything is relatively expensive, & upload data rates are often terrible -- most all of the bandwidth is allocated the other way, for downloads &/or streaming services. It's bad enough for me with our broadband service that I dislike & try to avoid sending the smallest attachments via email, because it takes so long -- I can't imagine sending anywhere near a GB. Salvia, <i>"Although I've never tried this I wonder if it is possible to do a system backup to the cloud, possibly as part of a trial. "</i> The problem is the data rate of the transfer to the servers in the cloud. What many, including all sizes of businesses do, is send a copy of their complete backup on physical media to the company providing the service. Afterward they just do incremental backups directly to the cloud -- because it's much less data the relatively lower transfer rate isn't as big a problem. This sort of thing generally hits individual consumers in the US the hardest... Shipping anything is relatively expensive, & upload data rates are often terrible -- most all of the bandwidth is allocated the other way, for downloads &/or streaming services. It's bad enough for me with our broadband service that I dislike & try to avoid sending the smallest attachments via email, because it takes so long -- I can't imagine sending anywhere near a GB. just a very short reply (btw thanks for your great efforts detailing the problem areas). Partition software is not the sort you can truly test and practice with beforehand unless you have a spare machine with identical configuration. However, resizing or merging normal data partitions is no great thing providing one does it with reasonable sense. It is not such a wonderful experience when the two partitions are or will be fairly full and on top of that filled with monster-size files. Of course, the grade of PC equipment also plays a role in such cases. People begin to act irrational and panick when seemingly nothing happens for a long time. mike, just a very short reply (btw thanks for your great efforts detailing the problem areas). Partition software is not the sort you can truly test and practice with beforehand unless you have a spare machine with identical configuration. However, resizing or merging normal data partitions is no great thing providing one does it with reasonable sense. It is not such a wonderful experience when the two partitions are or will be fairly full and on top of that filled with monster-size files. Of course, the grade of PC equipment also plays a role in such cases. People begin to act irrational and panick when seemingly nothing happens for a long time. I used Minitools Partition Wizard Version 9.1 FREE to partition my hard disk. Also to resize my hard disk partitions later when usage needs changed. No hidden advertisements or compulsory toolbars to install. I used Minitools Partition Wizard Version 9.1 FREE to partition my hard disk. Also to resize my hard disk partitions later when usage needs changed. It is more than good enough. 100% free of charge. Excellent user interface. Simple to use. Powerful. No unpleasant surprises. No crashes. No bugs. No dirty tricks. No hidden advertisements or compulsory toolbars to install. Was lucky enough to get the pro version when it was given away here just over a year ago. Certainly one of the easiest to use and no problems so far. ricohflex, Was lucky enough to get the pro version when it was given away here just over a year ago. Certainly one of the easiest to use and no problems so far. maddy, no partition manager I have ever used to resize a partition has lost any of the files on that partition so far, the ones I've used include Minitools, Paragon Partition Manger, Aomei and Easeus so this one is not in any way exceptional with that claim. maddy, I endorse what ricohflex says. This giveaway may be good but I wouldn't trust it on a newly bought machine. ricohflex, I like Minitools too: it's much more compact than most of the opposition (today's Giveaway excepted) but is still an efficient fully fledged disk management program. iM-Magic is a nice straightforward one-trick pony, which is fine if you just want to re-size a partition and nothing else; hard to see why they charge $159.99 for that, though. Incidentally, amon, there is a portable version for registered users. dougDog, So long as all the partitions on the drive are "primary", then resizing won't cause problems. It is when you have "extended" partitions that you can lose data. ricohflex, This is for use on servers, which Minitool would likely be of very little use, especially bearing in mind that they do MiniTool Partition Wizard Server especially for the job, so comparing this Giveaway to any regular product has no value. You are right. I do not have servers. Just plain desktop. IM Magic would be useful on a server. PhilS, You are right. I do not have servers. Just plain desktop. IM Magic would be useful on a server. amon, yes but the download link is only provided in response to a purchase of qualifying editions of the product. The specifications given on today's download page imply that it is for servers only. Never had any problems modifying partitions, possibly because I prepare the drive beforehand. The specifications given on today's download page imply that it is for servers only. However, this would appear not to be the case as shown in the following link:- http://www.resize-c.com/unlimited/ Never had any problems modifying partitions, possibly because I prepare the drive beforehand. See "IM-Magic Partition Resizer Main Functions"
"11. Support Windows PC versions Windows 2000 XP Vista 7 8 "
"13. Portable edition supported in paid version. The download link is included in the order email once payment finished." We never get such an emal so unless they provide it by other means we do not get the download link for the portable edition. I do note that on the table Salvia posted link to shows that the price shown for todays offering of $159.99 is for "Partition Resizer Server Free Upgrade" Yet we are not being offered free upgrades to future versions, in fact quite the opposite we are explicitly denied free upgrades to future versions as part of standard GAOTD T&C! Which means the correct price for the product being offered today that we can have is the basic "Partition Resizer Server" which sells for $99 and does NOT offer free upgrades to future versions. Salvia, that is for the unlimited edition this giveaway says it's the server edition. If you had said the page contained a edition comparison table you would have gotten way more + votes! It does not even mention that it's usable for Windows Home Servers... Nowhere here does the server edition puport to also support desktop or tablet windows versions! BUT it does on this page: http://www.resize-c.com/server/specs.html See "IM-Magic Partition Resizer Main Functions" "11. Support Windows PC versions Windows 2000 XP Vista 7 8 " and "13. Portable edition supported in paid version. The download link is included in the order email once payment finished." We never get such an emal so unless they provide it by other means we do not get the download link for the portable edition. I do note that on the table Salvia posted link to shows that the price shown for todays offering of $159.99 is for "Partition Resizer Server Free Upgrade" Yet we are not being offered free upgrades to future versions, in fact quite the opposite we are explicitly denied free upgrades to future versions as part of standard GAOTD T&C! Which means the correct price for the product being offered today that we can have is the basic "Partition Resizer Server" which sells for $99 and does NOT offer free upgrades to future versions. Seeing that chart, it seems this software should work on Windows 2000/XP/Vista/Win7/win8 and Windows Server 2000/2003/2008/2012. And its cost should be $99 instead of $159, otherwise the product of today should be Partition Resizer Server Free Upgrade (with free upgrades...!!!). <b>Salvia</b>, Yeah! Seeing that chart, it seems this software should work on <b>Windows 2000/XP/Vista/Win7/win8</b> and <b>Windows Server 2000/2003/2008/2012</b>. Unfortunately, <b>windows 8.1 and windows 10</b> don't seem to be supported... And its cost should be <b>$99</b> instead of $159, otherwise the product of today should be <b>Partition Resizer Server Free Upgrade</B> (with free upgrades...!!!). Doubt there is any way I will get many + votes since I informed a number of idiots that they were idiots, whatever I write they mark me down. Just like share from 35+ years of computer experience in the hope that it helps. Therefore I didn't write too long a comment as I was sure others would scroll down the page. Find it hard to understand why the requirements on the download page were so inaccurate and possibly limit the number of people who downloaded. TK, Doubt there is any way I will get many + votes since I informed a number of idiots that they were idiots, whatever I write they mark me down. Just like share from 35+ years of computer experience in the hope that it helps. Therefore I didn't write too long a comment as I was sure others would scroll down the page. Find it hard to understand why the requirements on the download page were so inaccurate and possibly limit the number of people who downloaded.